I was on that section, I think on a 631, I remember a few guys but the only name I remember was 'Ollie', a blond guy, I think, he was on a 657 but could have been a 631, the guy who had the shout was a welsh guy with a permanent limp, not sure of the year, maybe 1967 or 8. I was not there for long, I had some 'legal probs' in those days + a crazy streak which led to them. I was driving a 631 at Tonbridge when the two 631 scrapers collided. The one fully laden going downhill flat out, driven by Ron from Rochester way, was pushed nearly over the side by the empty scraper coming up the hill behind me. 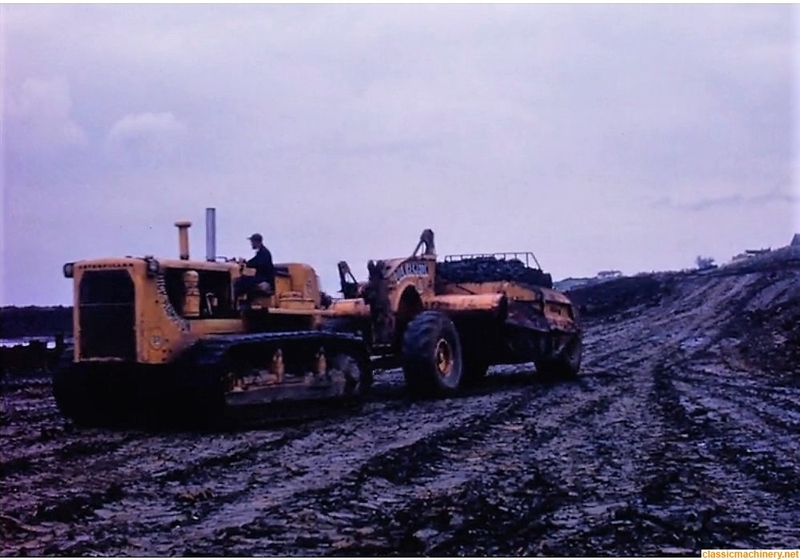 Neither machine moved after the impact, all rams sheared, and the boxes ploughed deep down into the haul road. The draft arms broke and I rememberwhen one was being repaired, helping to heat some large lengths of flat so that it would bend round the arm, to reinforce the welding. One machine did not work again for about a month, even the torque converter housing was cracked. The only injuries were a small cut each to the driver's hands where they went through the windscreen. Yes they did go down the hill into Tonbridge for a cup of coffee. The excuse from the driver behind me, was that the job was boring !!!!! I have lots of other tales about stockcar water bowsers, and Bailey Bridges. eucliddave.